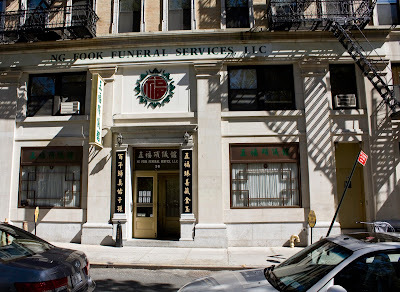 Here's the third funeral home on Mulberry Street. You did remember the first two, didn't you? 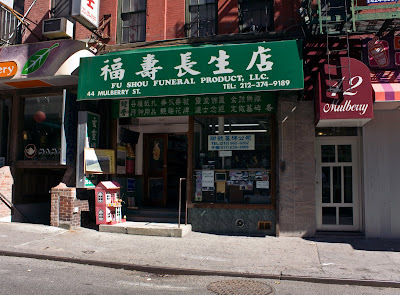 And here's a funeral supplies store. They didn't want me to photograph inside, no surprise, but I can tell you there were lots of paper goods. See the house on the doorstep? Stuff like that. I am not the only one to have noticed the focus on funerals; the New York Times was here before me.